Object Anthology: mit fernweh (sans sabotage) is an anthology of poems presented as objects, and of objects presented as poetry. The root of the word "anthology" is the Greek ἀνθολογία, which translates literally as "a collection of flowers." 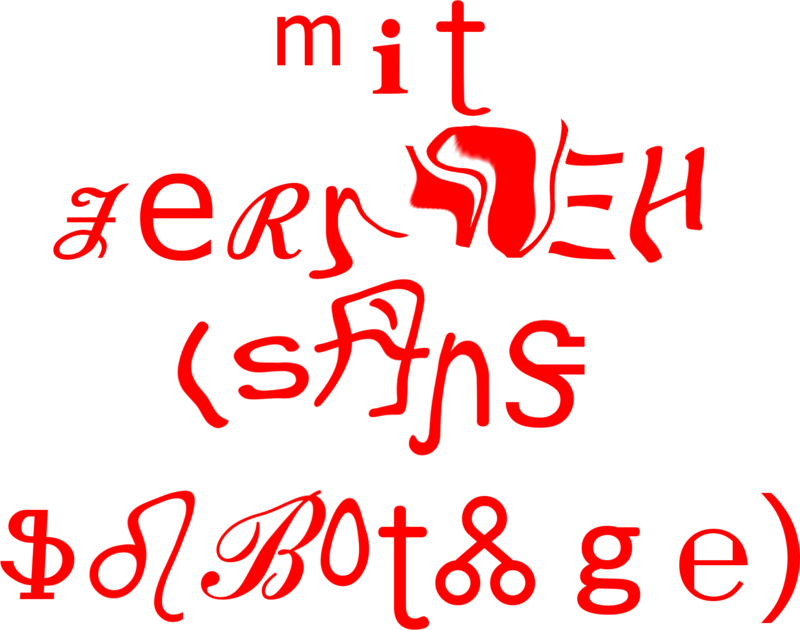 mit fernweh (sans sabotage) seeks to produce a poetry that has departed from the printed page, and that is seeded instead in situated, three-dimensional form. The resulting poem-objects, produced by a range of artists and poets, are sited across various locations in the Swiss mountain village and surrounding landscape of Gstaad, often responding directly to their social and spatial context. This web app, which utilises a geolocative Google Maps API, functions in the manner of a contents page, providing a schema for reading the anthology as a collection and as individual works. Published on the occasion of the exhibition Project 1049 (July 29 – August 21, 2016) with the kind support of LUMA Foundation. Object Anthology: mit fernweh (sans sabotage) is an anthology of objects featuring contributions by Rachael Allen & Sophie Collins, Juliette Blightman, Keren Cytter, Hamishi Farah, Penny Goring, Aurelia Guo, E. Jane, Maggie Lee, Ken Okiishi, Tabita Rezaire, and Diamond Stingily. It was commissioned as part of Project 1049, Gstaad, July 29 – August 21, 2016. Publishing House wishes to thank LUMA Foundation for their support—thank you!